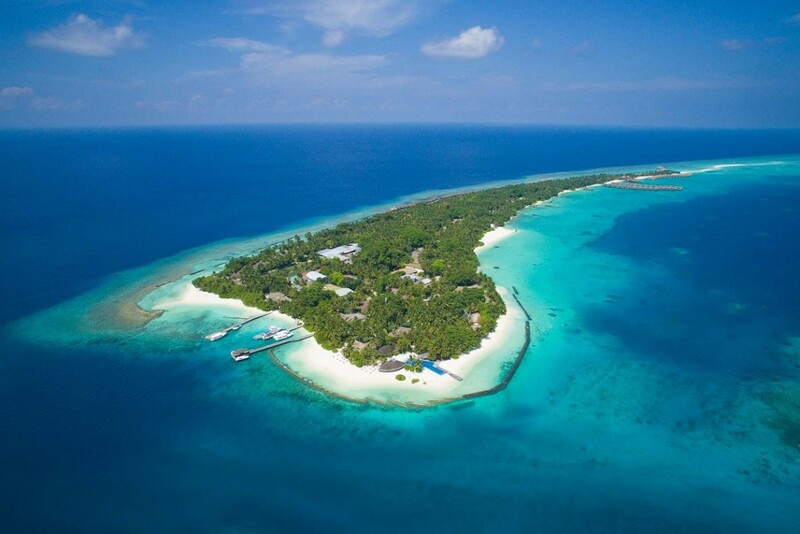 What can we say about Maldives? Probably not much, because this is probably this case, when necessary to see it by yourself, because words cannot tell all this beauty and the pleasure/joy that you will receive! Tour price: from 1273 EUR / per pers. Euros (€) - EURUS Dollars ($) - USD SKU: ML12*. Category: Tour with flight. 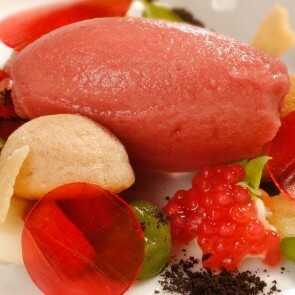 What can we say about Maldives? Probably not much, because this is probably the case, when it’s necessary to see it by yourself, because words cannot describe all the beauty and the pleasure that you will receive! 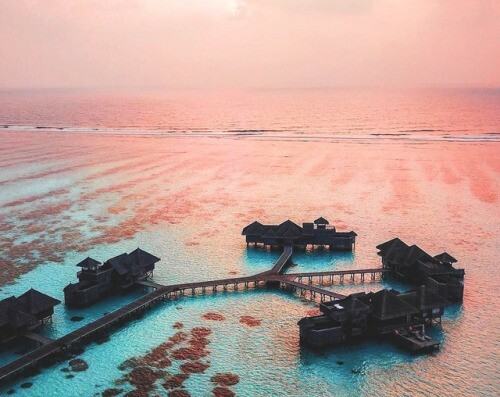 The highlights of our programs are — custom routs through the most beautiful places of Maldives, which is not available for every tourist, and of course, low prices! 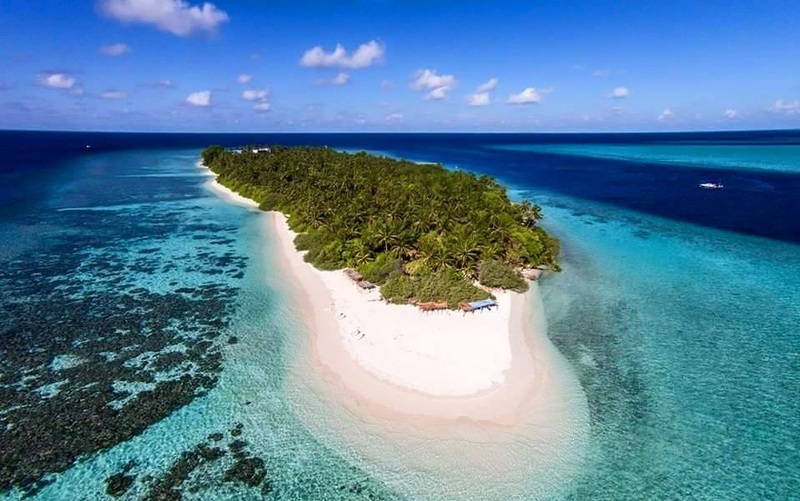 In this program you will find: recreation on the white beach near azure waters of the Indian ocean, swimming at uninhabited islands and sandbanks. If you wish to know underwater world more closer, then program can include: diving, swimming with giant stingray, whale sharks, fishing and more! Also on the way to the Maldives, you will visit Istanbul — a city of contrasts, that will change your opinion that in Turkey you can have only a beach vacation! Feridhoo island is a native land of popular Maldivian dance Bodu Beru which is performed by males at the evening after the working day to the strains of drums. Locals call it “vibration of the island”. There are not so much tourists on the Feridhoo island, but local guesthouses are equipped with all necessary for good and calm repose. There are a private beach for tourists where it is allowed to swim and take sunbathing in bikini. Near the island there are some sand banks and fabulous uninhabited islands. Perfect for a peaceful relaxing holiday. Offering a restaurant, Sevinex Inn is located in Feridhoo. Free WiFi access is available. Each room here will provide you with air conditioning. Featuring a shower, private bathroom also comes with free toiletries. Extras include ironing facilities and a fan. At Sevinex Inn you will find a 24-hour front desk, barbecue facilities and a terrace. Other facilities offered at the property include a shared lounge, a tour desk and luggage storage. An array of activities can be enjoyed on site or in the surroundings, including fishing and snorkeling. – Trip to a deserted island in the middle of the ocean. – Flights from Riga and back. 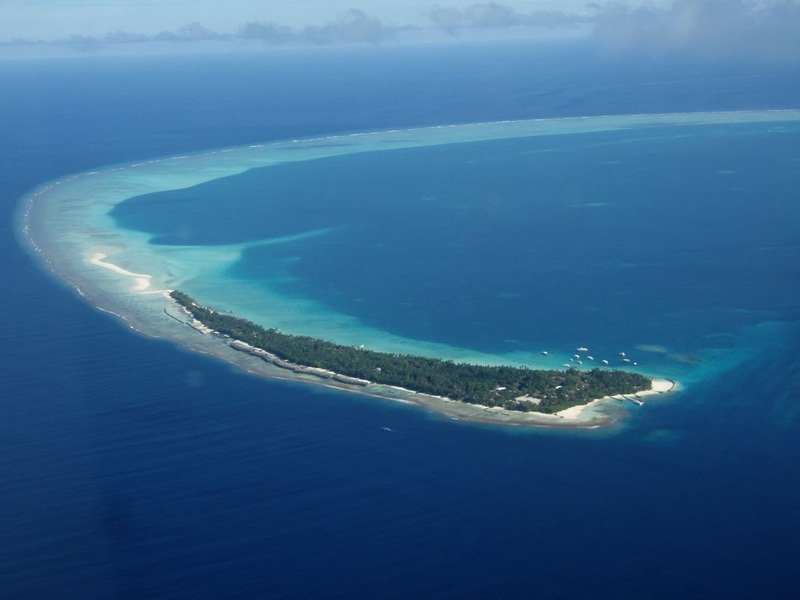 Rasdhoo is a small island in Northern Ari Atoll (also known as Alif Alif Atoll). About 1,000 people call it their home — and a friendly 1,000 people at that. Locals are very welcoming and always ready to welcome visitors to their lifestyle and traditions. The bikini-OK beach of the island is quite short — about 30 meters in total. However, two beautiful sandbanks lie some 200 meters into the ocean. An uninhabited Madivaru island is also nearby — go there to get your well-deserved tan and to enjoy the strange gift of complete solitude. In Rasdhoo, you can feel like a real Robinson, but with all the perks of civilization. As an atoll capital, Rasdhoo has an ATM and a bank, a few restaurants, souvenir magazines as well as a 24-hour medical center and a police station. 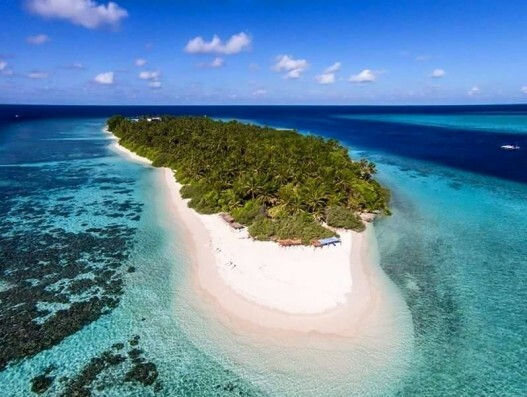 The Bathala island resort lies not far away from Rasdhoo — you can visit to enjoy the facilities along with restaurants and bars where alcohol is sold. 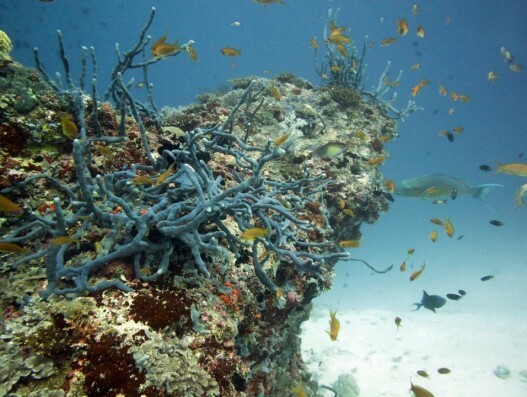 Rasdhoo is surrounded by excellent coral reefs that provide a superb delectation for snorkelers. The region nearby, sometimes called Rasdhoo Atoll, is famed among divers and connoisseurs of the underwater world as great giants like mantas, hammerhead sharks and myriads of colorful fish, sea turtles, dolphins and harmless reef sharks. 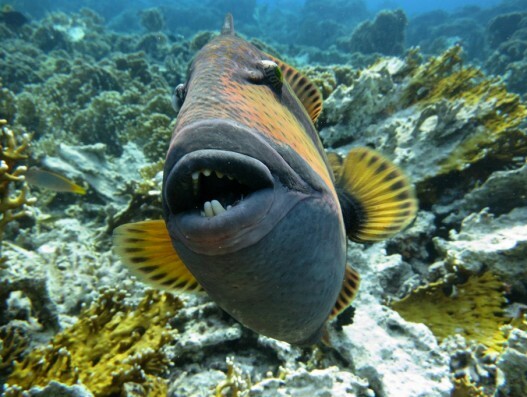 Divers have even dubbed the atoll ‘fish soup’ for its sheer variety of underwater creatures. Cozy family hotel with private beach. They have areas with hammocks and swings. If you choose a vacation on Thinadhoo island and accommodation in Plumeria Boutique – you made the right decision! 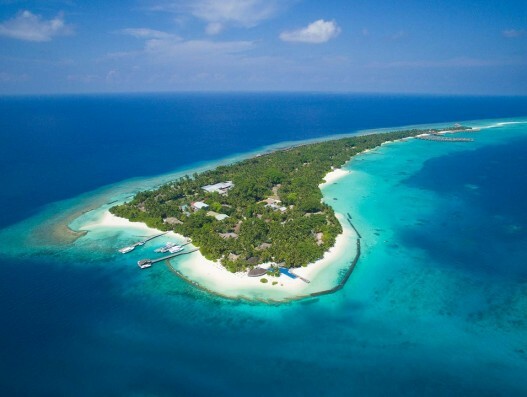 Thinadhoo island is probably the one with smallest population among inhabited islands of Maldives. Only about 30 locals live there. 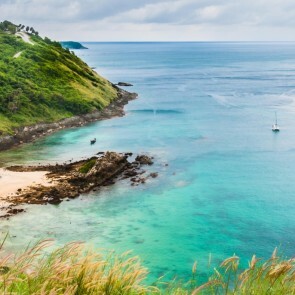 Island is full of greenery, the road to the beach is so picturesque that you feel like a hero from adventure movie. The ocean and beaches are amazing! We recommend this island for relaxing stay or for active vacation! This property is 3 minutes walk from the beach. Offering an indoor pool and a restaurant, Plumeria Maldives is located in Vaavu Atoll Thinadhoo. Free WiFi access is available. Each room here will provide you with air conditioning, a balcony and a hot tub. There is also a dining table. Featuring a shower, private bathroom also comes with a bath and a hairdryer. You can enjoy sea view from the room. Extras include a minibar, a seating area and a CD player. At Plumeria Maldives you will find a private beach area. Other facilities offered at the property include entertainment staff, water sports facilities and a shared lounge. An array of activities can be enjoyed on site or in the surroundings, including fishing, diving and windsurfing. This property is also rated for the best value in Thinadhoo! Guests are getting more for their money when compared to other properties in this city. – The snorkeling equipment for your own snorkeling. More detailed info about the prices for each individual travel date, you can check in the table below. Also if you are travelling with children or in a group of 4 or more persons, please contact our friendly staff by phone: (+371) 26231660 or e-mail: info@banita.lv for special price specification!